Eugene, OR - The South Willamette Valley Food Trail debuts during the Oregon Governor&apos;s Conference Tourism April 14-16. Developed through Travel Oregon&apos;s Oregon Food Trail Program, the South Willamette Valley Food Trail gives locals and visitors an opportunity to experience world-class wines, wild fields and foods and family friendly farms. 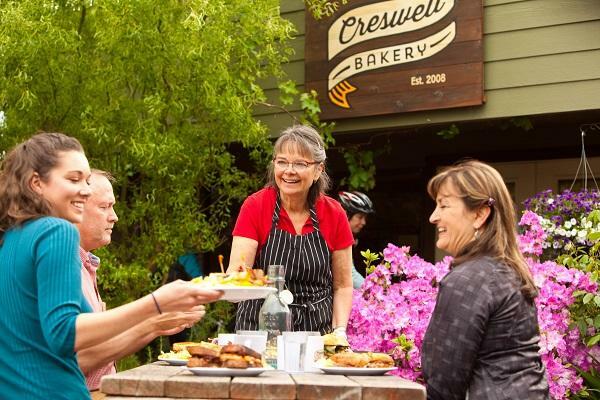 View the entire South Willamette Valley Food Trail guide online or pick up the brochure at Eugene, Cascades & Coast Visitor Information Centers and participating businesses after April 16, 2019. Explore over 50 destinations offering unique culinary and agritourism experiences in the South Willamette Valley!